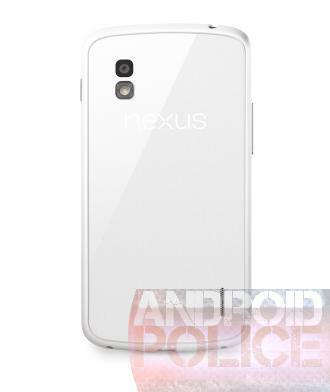 The elusive white Nexus 4, which isn’t so much a secret anymore, looks as though it’s finally coming to market. 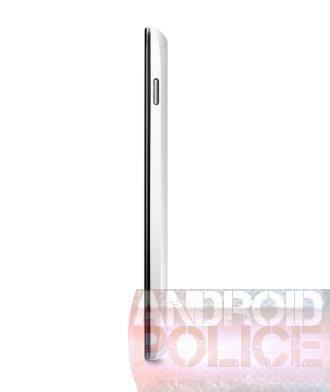 Thanks to press shots acquired by Android Police, we can say with near certainty that the device’s release is imminent, especially since we saw the handset floating around during last week’s Google I/O. It is, it feels good to say, about time. Not much information was attached to the photos—model number is E960W, while the original is E960—so it’s unclear if anything has been changed. One bit of unfortunatel news: it sounds like the white Nexus 4 will only come in 8GB and 16GB variants, meaning no 32GB options are on the table—at least for now. Other questions, such as whether or not it supports LTE, also remain unanswered. One other big points of contention includes whether or not we’ll see this device coincide with the arrival of Android 4.3. Reports suggest we’ll see both launch on June 10, which is only a few weeks away now. June 10 is also when Apple is holding its big WWDC keynote (coincidence?). 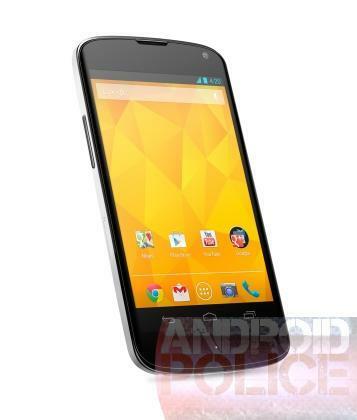 With devices such as the Galaxy S4 and possibly even the HTC One soon hitting Google Play, is a white version enough to keep the Nexus 4 fresh?